Your health is important to you – you shop at Whole Foods, you avoid red meat (even though the brisket in DFW is so tempting), and you hit the gym at least 3 times a week. And when it comes to your teeth, you take the same approach by brushing and flossing twice a day. 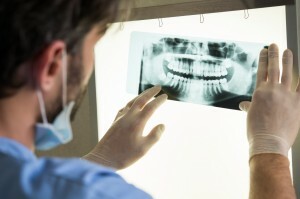 But every time you visit the dentist, you always wondered – are dental x-rays safe for your health? In this post, the team at West 7th Smiles, your premier dentist in Fort Worth, explain just how secure this essential diagnostic procedure is. Radiation – no matter how you’re exposed to it – can negatively impact the tissues in your body. Whether these rays come from the sun, naturally occurring minerals in the soil in the Earth, appliances like microwaves in your home, or x-rays, they can all contribute to the occurrence of cancer. But luckily, the amount radiation you’ll be exposed to is minimal and highly unlikely to cause problems. And, Dr. Boyd always takes precautions to keep you safe during the radiography. How Does West 7th Smiles Make X-Rays Safer? We will only use the smallest amount of x-rays that are needed to examine your teeth and jawbone. We use digital x-ray machines that minimize the area the radiation beam actually makes contact with, lessening your exposure. Since our x-rays have higher speed films, this allows us to use the x-ray for a shorter amount of time. Our comfortable x-ray film holders keep the film in the correct spot, reducing the need to re-take x-rays. We comply with federal law that mandates x-ray inspection every two years, making sure our machines are always as safe as possible. Boyd and his team will cover you with protective lead-lined, full-body aprons to keep the radiation focused on your teeth only. We’ll also eliminate x-rays if you’re pregnant, keeping both patients safe. And, talk honestly with us if you’re trying to conceive, since we can minimize the amount of x-rays ever further to protect you and your future little one. Now that you know how safe dental x-rays are and that they’re a vital part of your preventive dental care, schedule your appointment with West 7th Smiles to get the full picture of your smile!